A former prison officer who exchanged sexual letters, texts and calls with a young offender has been sentenced to eight months in prison for misconduct in public office. Chelsea Blackwell, aged 27 formerly of Sheriff Close, Aylesbury, appeared at Aylesbury Crown Court today (10/8). Between 13 July and 5 August last year, Blackwell was found to have communicated with a serving prisoner whilst she was working as a prison officer at HM Young Offenders Institute in Aylesbury. During this time, she had sent the 21-year-old inmate multiple letters and made extensive calls and texts to him, often in the early hours, some of which were of a sexual nature. Blackwell used two phones to communicate with him. Blackwell was charged on 21 February this year and pleaded guilty to one count of misconduct in public office. At today's sentencing, she was issued an eight month custodial sentence. 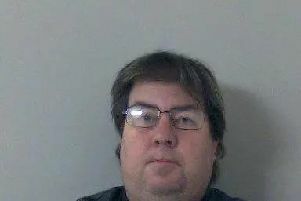 Following today's court appearance, Police Constable Nicola Ambrose from the Prison Investigation Team based at Aylesbury, said: "Blackwell completely abused her position as a prison officer, by choosing to communicate with a serving prisoner through letters, texts and calls knowing that he illegally had a mobile phone inside prison. Her actions were completely unacceptable and amounted to misconduct in a public office. "I hope this sentencing shows that we will not tolerate any offences within our prisons, and will take swift action against those who undermine the good work of their colleagues and open themselves up to potential corruption." Louise Attrill, Senior Crown Prosecutor for Thames and Chiltern Crown Prosecution Service (CPS) said:"This case involved wilful misconduct by a serving prison officer who communicated inappropriately, via letters, phone calls and text messages, with a serving prisoner, at her place of work in Aylesbury last summer. "Between 13 July and 5 August last year, in excess of 850 text messages were sent between the pair and over 115 calls were made, some of which were more than two hours in length. Initial phone contact was between Chelsea Blackwell's main mobile phone and the prisoner's phone, but from 28 July 2016, she switched to using another phone and continued to text the prisoner. Blackwell made five calls to the prisoner's phone after it had been seized from his cell following a search, presumably oblivious of the search. Four letters were seized during the cell search, including two from her home address. A forensic handwriting report concluded that there was "very strong evidence" that Blackwell had written all of them. "Blackwell initially denied any wrongdoing, but on 20 July 2017, due to the strength of evidence against her, and recognising that justice had caught up with her, she pleaded guilty to misconduct in public office. "Acts of this nature by prison officers are extremely rare, but the prosecuting authorities recognise them as an abuse of the public's trust and the potential for corruption and, therefore, treat such cases with the utmost seriousness. This thorough investigation and robust prosecution with the use of mobile phone data, cell site analysis and handwriting analysis demonstrate that those who abuse their position as a public officer will be pursued, prosecuted and punished."